Pickard Chilton, an award-winning architecture studio best known for its innovative and cutting-edge design of corporate headquarters and campuses, has been recognized by AIA New England as a 2018 AIA New England Emerging Professional Friendly Firm. Pickard Chilton was presented with the honor at the 2018 AIA New England Design Awards Celebration on October 12 at the Boston Society of Architect’s BSA Space in Boston, Mass. Sponsored by New England’s Young Architect Regional Director and Regional Associates Director, the Emerging Professional Friendly Firm award recognizes firms that display outstanding commitment to the development of emerging professionals within their staff. AIA New England defines an emerging professional as a student, recent graduate or architect licensed within the past 10 years. The candidates were judged on criteria such as mentoring, involvement in professional organizations, education and certifications, diversity, projects, and other factors. Pickard Chilton received a total of 35 of the required 30 points to be named an Emerging Professionals Friendly Firm in the medium size firm category. A strong ethic of teaching and mentorship runs through Pickard Chilton, which strives to create a collaborative studio environment where learning is integral to the achievement of results. 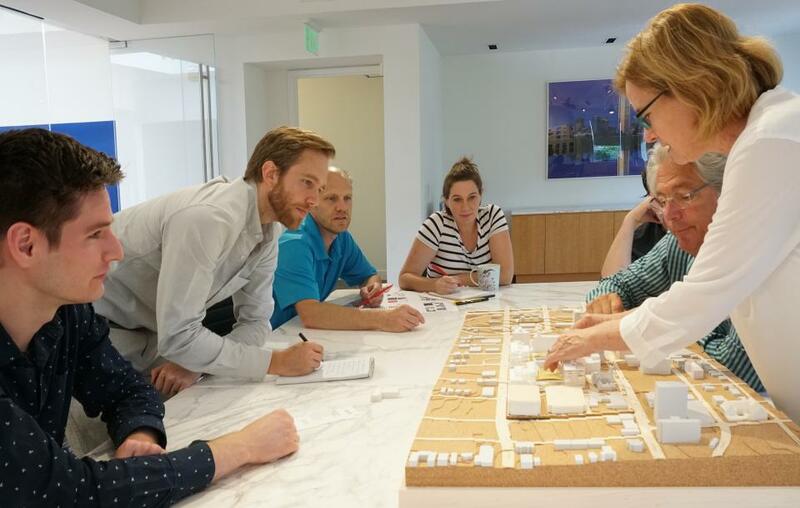 In addition to frequent studio design critiques with principals and senior level staff, innovative programs and opportunities created specifically for emerging professionals include: the Pickard Chilton Traveling Fellowship; Greenbuild Ambassador Program; and, financial support for achieving professional licensure as well as LEED and WELL accreditation. Additionally, Pickard Chilton hosts an annual Summer Education Program for all incoming, summer intern and experienced designers. The popular series provides enriching and varied experiences outside the normal studio atmosphere such case study presentations, field trips, and technical skill-sharing.